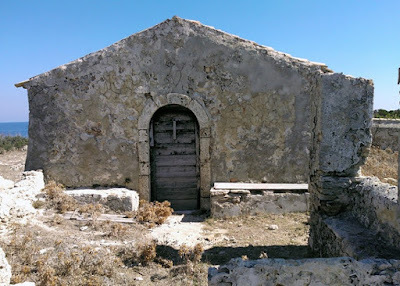 Father Grigorios was a Greek Orthodox monk who lived 38 years of his life, almost alone, in the medieval Monastery of the Savior on the small Ionian islands of Strofades. Father Grigorios passed away on Monday, 31 July, at his home village of Agala, Zakynthos where he returned in 2014 due to ill health. Strofades is a group of two small islands in the middle of the Ionian Sea. It is located 27 nautical miles south of Zakynthos. The only way to visit the island is by private boat. The medieval Monastery of the Savior, also known as the Monastery of Panagia Pantochara (The Joy of All), that dominates Strofades was built in 1241 by Emperor Theodore II Laskaris of Nicaea. 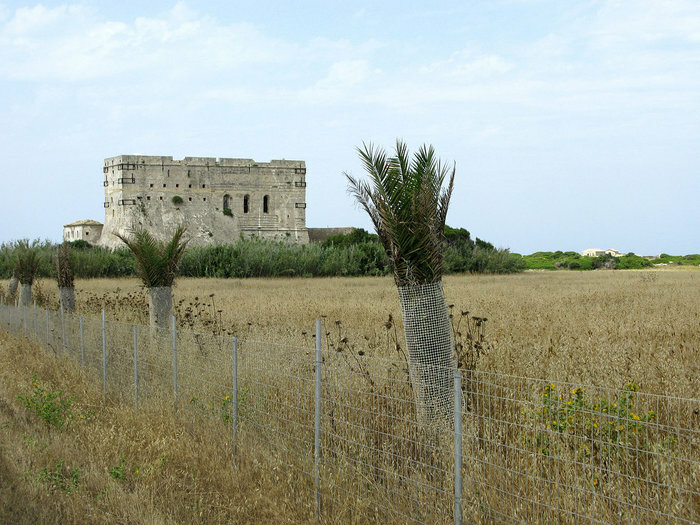 The monastery is a fortress that through the centuries survived nature and buccaneers. Emperor John Palaiologos built a high wall around the monastery to protect it, though this was breached in 1540 by pirates which led to a major massacre of the monks and the monastery was plundered. Originally no women were allowed in the monastery, as was the common practice of many monasteries at the time it was built. A unique feature of this monastery is that the main church (katholikon) is located in the tower. Among the many monks that used to live there was Saint Dionysios, the patron saint of Zakynthos. Saint Dionysios was abbot of the Strofades Monastery in 1570, and he reposed there. In 1770 his incorrupt and wonderworking relics were translated to the island of Zakynthos. Father Grigorios settled in the monastery in 1976. Until 1985, his only company was a lighthouse keeper and a fisherman who was bringing him supplies from Zakynthos every fortnight. The lighthouse became automated in 1985 and Father Grigorios was left alone with only his chicken, some goats, the migratory birds and the occasional tourist and hunter during the summer to keep him company. In the winter he would sometimes go for 30-50 days without ever seeing anyone. On November 18, 1997, a severe earthquake of 6.6 magnitude, centered on the Strofades, caused serious damage to the historic monastery. This was the only time that Grigorios fled the island for a few days. Some repairs have been made over the years. 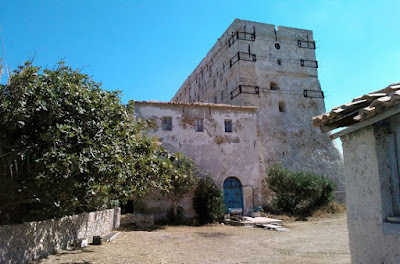 The monastery tower was struck by iron bars to prevent it from collapsing, but it still remains in a precarious state. The Monastery of Saint Dionysios in Zakynthos is helping to restore the monastery following the damage from the earthquake. Speaking to a reporter some years ago, Father Grigorios said that his diet was basic, mainly greens he cultivated, milk and cheese from the goats. The lonely way of life he had chosen had an impact on his health. 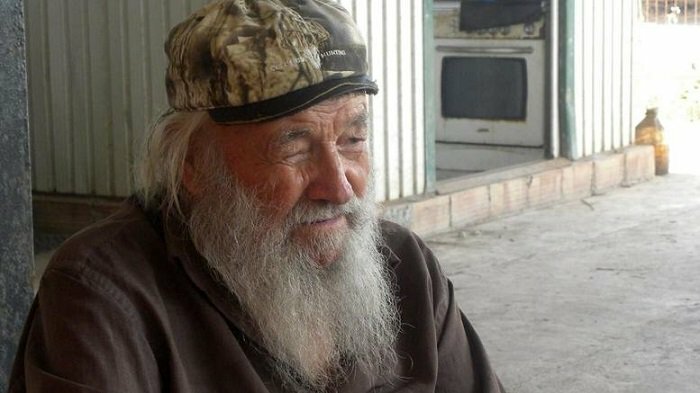 In 2014 Father Grigorios left his beloved monastery of Strofades to settle in Zakynthos, where he died on Monday and was buried on August 1st.